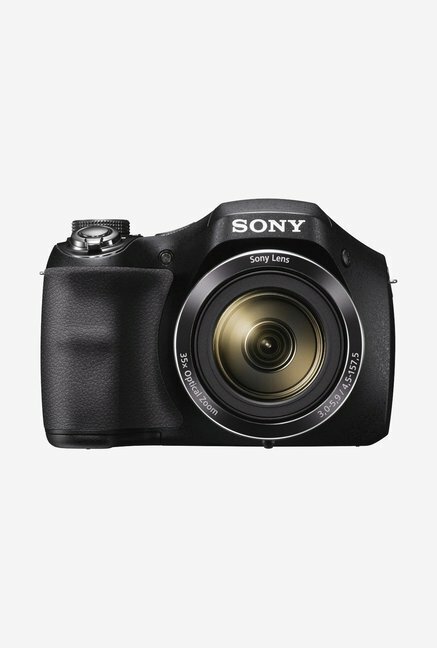 The lowest price of Sony DSC-H300 Point & Shoot Camera ( Black ) is at Amazon where is it is for INR 12899. This price is INR 16844 lower than the other price for the product. The prices for the product change across variants. The price for Sony DSC-H300 Point & Shoot Camera ( Black ) is valid across Bangalore, Hyderabad, Chennai, Mumbai, Delhi, Pune and Kolkata. The Sony DSC-H300 Point & Shoot Camera ( Black ) is available at best price of INR 12899 on Amazon. Not Covered in Warranty "The warranty does not cover accessories and consumables, like case, strap, lens cap, charger, batteries etc. The warranty does not cover the replacement of the product(s) � Warranty does not cover warranty of functionality of the Product(s). Warranty does not cover damage caused due to act of God & force majeure events including but not limited to fire or water damage, electrical disturbances etc."